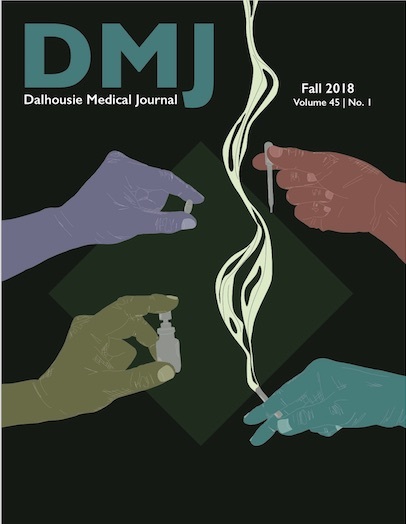 The Dalhousie Medical Journal is a student-run peer-reviewed biannual publication. Much like our medical school, we feature a mix of both science and humanities. The primary goal of the journal is to increase student participation in research and writing, while offering an interesting product for the Dalhousie medical community. In the past the journal has primarily published the work of Dalhousie medical students and residents. However, we encourage submissions from members of all allied health professions at any level of training. We are also very open to considering submissions from individuals based at institutions outside of the Dalhousie community. We invite you to browse our latest issue and consider submitting manuscripts or humanities pieces using our online submission system.